You’ll be no doubt bombarded with things to do throughout the Christmas season, and panto has so often been the cornerstone of many people’s December schedules. 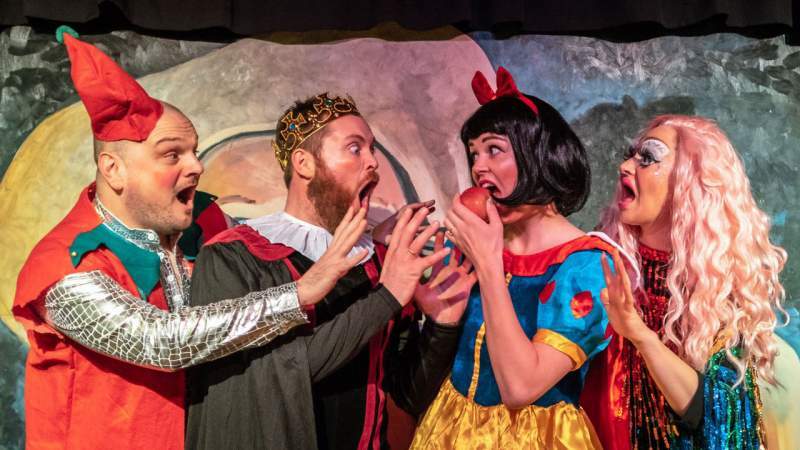 So some incredible comedic talent have come together to put on a thoroughly modern pantomime, as Snow White 2 – Appley Ever After comes to The Stand in Newcastle for a run of shows around Christmas time. It’s a show for everyone, including those who don’t like pantomime, and it’s a lovely mix of daftness, silliness and a huge dollop of laugh of loud funniness for all the family. You can catch it at The Stand from Monday 17th to Sunday 23rd December, and then again from Tuesday 27th until Friday 30th December. Time are various and you can find more information here, and it’s charged at £5 per ticket to make sure it’s an affordable night for the whole family. This sequel to the original has an alternative edge, and takes the tale in a modern direction as when we last met Snow White, she was all set to marry a handsome prince, but such is life, it didn’t work out, but she’s not one to let something like that get her down. Hannah Walker plays the eponymous Snow White with a heart full of hope and a head full of songs, and strictly NO apples. She’s expertly joined on stage by a very silly Muddles, who’ll be expertly brought to life by Lee Kyle, there’s the super rude dame played by the very cheeky Sammy Dobson, the truly wicked Queen Katherine Tanney and handsome prince Hal Branson. Pantomimes simply aren’t done like this, this is a stellar cast of comedic talent who know how to entertain all ages, with sharp, smart gags and lively, fun performances. Tickets are selling fast, so well worth trying to snap yours up soon. Snow White 2 – Appley Ever After is at The Stand, Newcastle throughout December.